Investments in new hospitality projects abound, as several beach and mountain resorts, restaurant clusters and beverage chains are expected to open in the coming two years, according to the April issue of Lebanon Opportunities. Investors are looking at urban areas that have a large enough population and adequate infrastructure in place. They are eager to open their projects in Beirut as well as in the other areas in the country. Several beach resorts are expected to open in the coming years. Michel Abchee, Chairman of ADMIC, the operator of BHV and Monoprix, is planning to open a beach resort in Damour. The resort will be built on 70,000 square meter (m2) land plot, and will have a five star hotel including 120 rooms, as well as chalets, and six restaurants. Soul Beach Resort, a mixed-use resort in Kaslik, is being planned by Sam Elias, a Lebanese-Australian developer. Construction of the project has begun, and is expected to be completed in 2021. The $85 million project will have a 78,000 m2 built-up area. It will include a 120-room hotel, as well as a 3,000 m2 shopping mall, 220 chalets, ten restaurants, six pubs, and a yacht marina. Ghassan Abdallah, owner of Al Jissr, Bamboo Bay, and Laguna beaches, will open this year Marimba Hotel in Damour. Investment in the project is $5 million. The four-star hotel will have 60 rooms, two restaurants, a year-round pool, lecture hall, and sports club. An increasing number of resorts and restaurant clusters in the countryside are expected to launch soon. Forest Resort, a mixed-use touristic project in Ain Saade, was launched recently by William Zard Group, a real estate company. The group has invested $18 million in the project. Forest will have a 25-room boutique hotel, a natural park, and a food and beverage cluster. 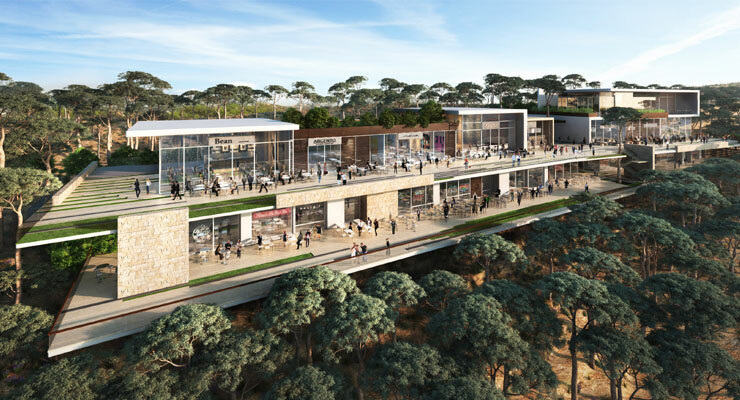 Venture Group, a hospitality concept development company owned by Marwan Ayoub and Rabih Saba, has partnered with several investors to open four clusters in Beit Mery, Zahle, and Saida. Large restaurant chains plan to open new outlets in the planned clusters, as well as other regions including Batroun, Broummana, Rayfoun, and Tyre. Roadster Diner is planning to open in Batroun. Kababji is considering expanding to the Dam W Farz area of Tripoli. Ghia Holding, the company behind Ahawak, Duo, Abd El Wahab, and El Denye Hek, is planning to open Ahwak and El Denye Hek in Dbayeh.